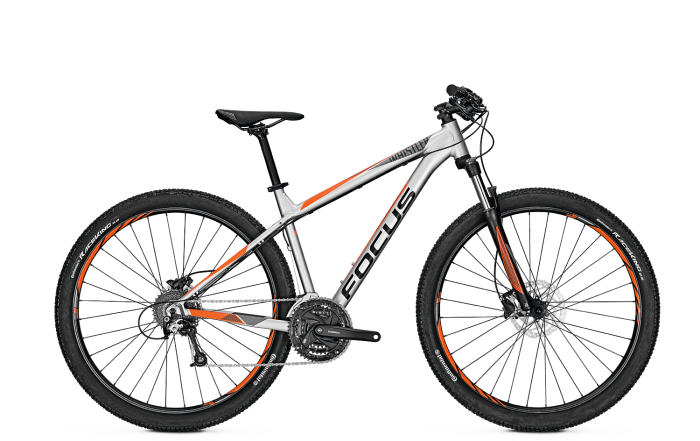 In this article we will provide an overview of the best mountain bikes for under $1,000 Australian (AUD) in 2018. Given the price tag, we have focused this piece on ‘hardtail’ instead of full suspension mountain bikes. So there’s no confusion – if you’re new to mountain biking – below we’ve also provided a comparison on both hardtail and full suspension mountain bikes to educate you about the differences. Then we provide our top five hardtail mountain bike suggestions for those who have a budget less than $1,000. What’s a Hardtail Mountain Bike? Hardtail mountain bikes are designed to handle rough terrains and typically have a more upright frame than other bikes. The term “hardtail” is driven from the fact the rear of the bike i.e. the tail, is hard in comparison to the front, which has full suspension to soften vibrations. Their higher clearance makes it easier to get over logs, rocks, ruts etc, while the front suspension absorbs stress and abuse, providing a more comfortable riding experience. These bikes are moved by wider and knobby tyres that provide better grip and traction. The rims and spokes are also stronger and able to handle rough terrains better than bikes in other categories (road, hybrid, BMX etc). Gearing is another area that differentiates hardtail mountain bikes as you get a wider range of gearing that allows handling a broad range or rough terrains. 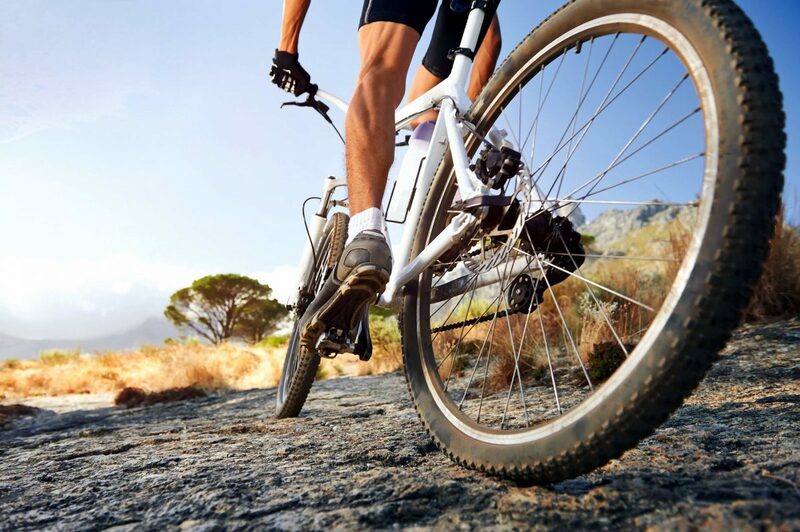 The high-end of mountain bike gear range is not as tall as say a road bike, but low gears are well below a roadie, which is very important when conquering steep hills. Hardtail vs. full-suspension mountain bikes is debate-sparking topic and you’ll find all sorts of arguments for and against both types. But ultimately it depends on the type of bike riding you’re interested in and of corse the budget. Let’s cover some basic differences between them to help those who are new to mountain biking make a more informed buying decision. 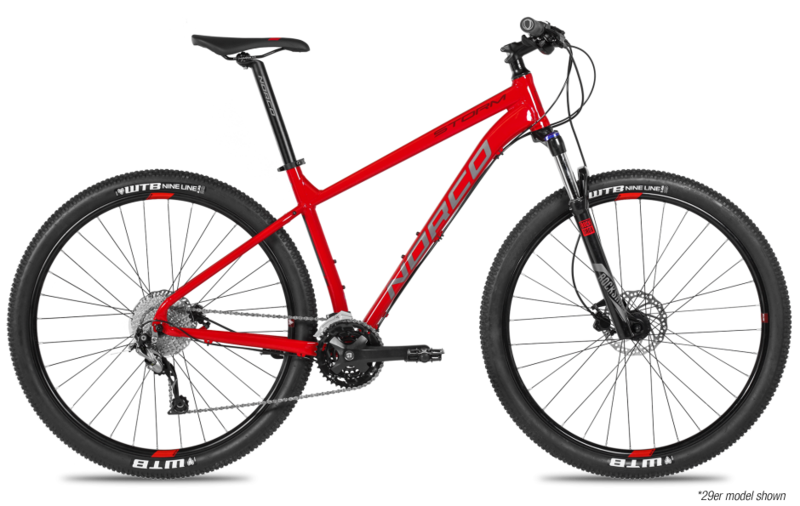 As the name suggests, a hardtail bike only features a front suspension, while a full-suspension mountain bike also features rear suspension. Both bikes have their own set of advantages and disadvantages. Full-suspension mountain bikes cannot beat the simplicity of hardtail bikes, which have only front suspension and thus typically lighter, easier/cheaper to maintain, and have less overall moving parts. Although hardtail bikes now come with carbon frames that improve flex and comfort, full-suspension bikes are still a better choice when it comes to handling and comfort. So a better option if you’re going into some extreme terrain! However, hardtail bikes offer more value for the money and are the perfect mountain category to explore if your budget is under $1,000. Designed for recreational riders planning on exploring new trails, Norco Storm 1 comes with a sturdy performance-focused RockShox XC30 100mm fork. The 720mm wide handlebar provides better control and stability than most other bikes in the same price range (most hardtail bikes under $1,000 have a 700mm or less handlebar). The WTB SX19 rims and Nineline tyres provide the grip and traction riders need in rough terrains and the confidence they need to start exploring new places. 9-speed shifting by Shimano, Tektro hydraulic disk brakes, and a light weight design makes the Norco Strom a great option in the sub-$1000 price range. The Trail 7 is a great option for beginners who are looking for a more affordable hardtail bike. Its progressive geometry and WTB Ranger tyres make the turning more agile than most; providing better control for a less experienced rider. You also have the option to use wider tyres for tougher terrains on the Trail 7. Shimano hydraulic brakes, and 100mm travel SR Suntour XCT fork make the bike trail-ready, and fun to ride. Designed to quickly get up to speed and keep rolling, Trail 7 inspires confidence in beginners, making it an excellent entry-level hardtail bike. The 29-inch option features a lightweight 6061 aluminum frame that offers liveleness and speed. SR Suntour XCM RL fork (100mm travel) comes with a remote mounted on the handlebar, which allows easier lockout. Continental Race King 2.2 tyres provide adequate traction on rough surfaces. The 700mm aluminum handlebar is pretty decent for the price range and makes riding new trails more fun. Available in lime-green and chromo-silver color, Evo 20 is agile, maneuverable and easy to handle. 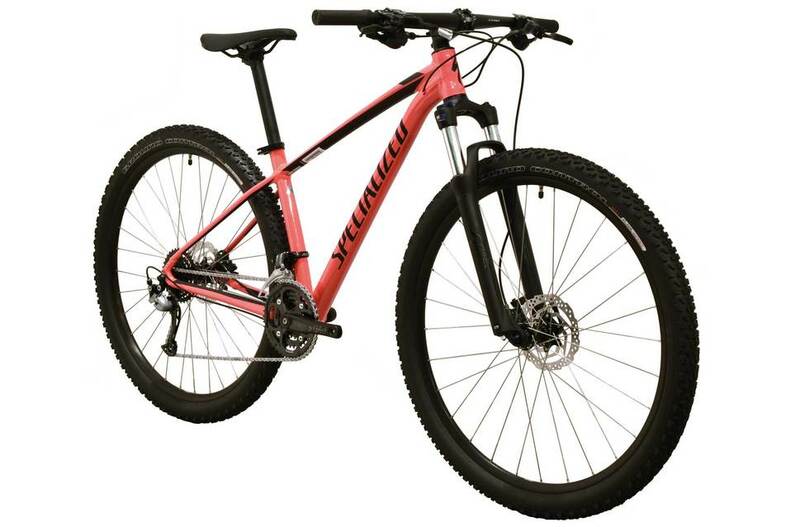 Available in different sizes ranging from XS to XL, RockHopper Comp 29 is another affordable hardtail bike from Specialized that is ideal for both beginners and riders who’ve already got some mountain biking experience under their belt. It offers a great balance between performance and durability, thanks to the lightweight A1 SL alloy frame construction, SR Suntour XCM fork, and corrosion resistant materials. Shimano Acera shifters and Deore rear derailleur ensures a reliable shifting experience through the 11-36t gear range, whether on a flat surface or hills. Shimano hydraulic brakes with 160mm center-lock rotor offer reliability and solid control, while 2.1-in tyres provide adequate traction for tricky surfaces. 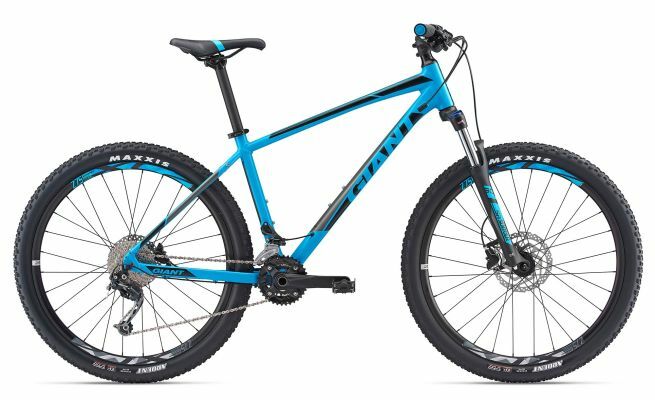 Giant Talon 2 is one of the top-selling hardtail bikes for beginners and offers excellent control and smooth handling. The frameset is optimised for the SR Suntour XCM HLO fork with 100mm travel and is made out of ALUXX-grade aluminum, which is lightweight and durable. The 27.5 wheels, Shimano M315 hydraulic disc brakes, and Shimano 2×9-speed drivetrain offer a great balance between speed and control. Shimano Deore rear derailleur and Shimano Alivio front derailleur are also the best we can find in under $1,000 bikes. 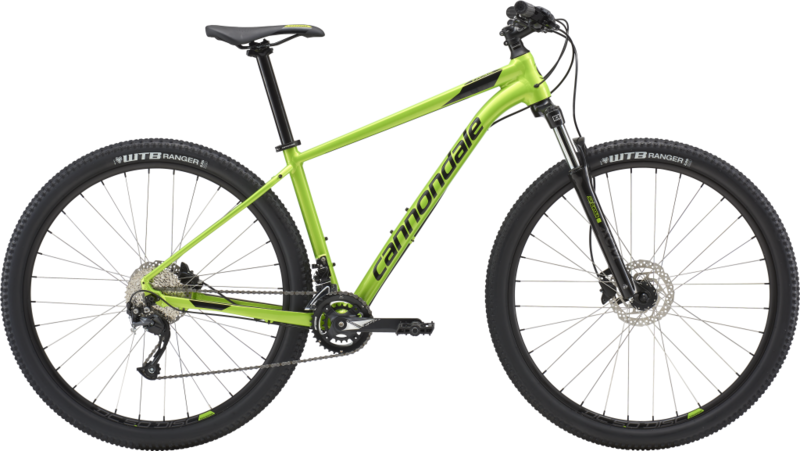 These bikes are ok for the price but there are much better deals out there in bikes proven on the trail but not as popular. Before I would buy any of these bikes I would spend the extra $200 to buy a Airborne Goblin. It comes with the Shimano SLX 1×11 ,(if not better) The Manitou Machete Comp 100mm-travel fork or ROCKSHOX REBA and other much better quality parts than the bikes you listed. They currently have the Guardian bike that has better components than all those bikes you listed for $699 . That’s $300 less than most on your list. That’s to only name one company. FEZZARI is another great bike company who makes a better bike with better components ,cheaper (price wise )than those listed in your article. Hey I get it! These name brand bikes pay the Bill’s. Anthony – what you are saying might be the case in North America, but no so in Australia.